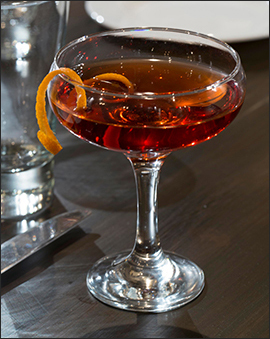 Join us at The Alex Craft Cocktail Cellar, where we feature the region's top jazz artists every Sunday evening from 6pm-9pm. This series sells out nearly every week, so make your reservations today at Resy. 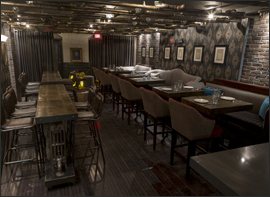 The Alex is an intimate cocktail lounge and restaurant with an eclectic décor and varied menu of American fare. 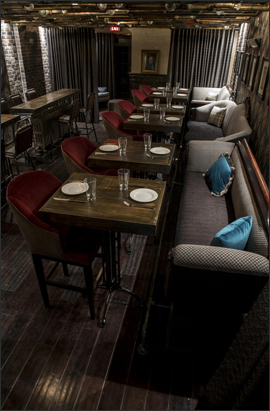 Settle in to one of the overstuffed Empire sofas, sip hand crafted beverages from our craft cocktail menu, share appetizers or enjoy a three course dinner, all while experiencing the classic stylings of these incredible vocalists and musicians. Lena Seikaly has established herself among the ranks of the city's most in-demand vocalists. She's been an artist in residence at Strathmore and a semi-finalist in the Thelonius Monk Competition. She's performed at the city's top venues, from Blues Alley to the Kennedy Center. The City Paper's Mike West calls her most recent CD "the work of a supremely confident master of her instrument." Lena performs with Chris Grasso, piano, and Marco Panascia, bass. 2019 has already been a banner year for Sharón Clark. After sold out shows at Dizzy's Club/Jazz at Lincoln Center, she embarked on a European tour. Don't miss this chance to see DC's jazz ambassador to the world in her hometown. The Wall Street Journal raves: "new and amazing . . . an absolute triumph," and the NY Times agrees: "You can't underestimate the transformation of what seems like an ordinary song when an interpreter like Sharón Clark tears it apart and peers inside." Catch Alison Crockett fresh off the release of her latest CD, "Obrigada," which is earning raves. The City Paper's Michael West writes: "It's easier to catch lightning in a bottle than to catch D.C. singer Alison Crockett's riveting, forceful command of the stage on a record. But Obrigada comes remarkably close." D.C. audiences have realized that Alison's shows are more than just music, they're events not to be missed â€“ unpredictable, exciting and always entertaining. For booking information, or to join Chris' e-mail list, contact: .